Regional Science Fairs are Your Gateway to Compete at the Wyoming State Science Fair! Regional science fairs in Wyoming serve ~1000 6th-12th grade students each year. Students showcase their original science, technology, engineering, and mathematics research and compete to win a slot at the Wyoming State Science Fair competition. Students must win a 1st, 2nd, or 3rd place in their category and division (Jr. or Sr.) to be eligible for the Wyoming State Science Fair competition. Junior division is for 6th-8th grade students; Senior division is for 9th-12th grade students. Regional fairs are held between December and the first week in February. 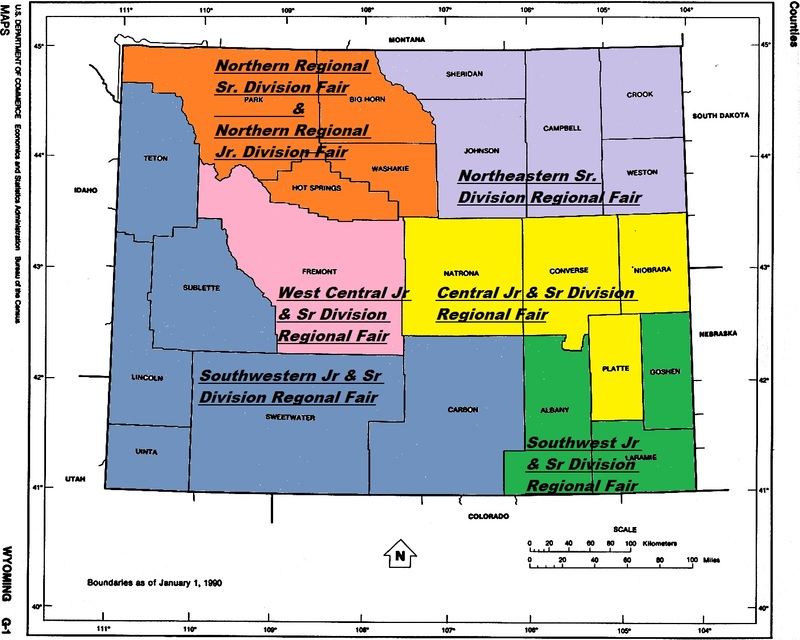 Unless otherwise noted, each regional fair covers a defined geographic area. Contact your regional fair director for more information about entering the regional competition. This regional fair is not currently active. Please contact wyostatefair@gmail.com if you are living in this region and would like to participate in the science fair.